In Lexington, K. “Subbu” Subramanian, a mechanical engineer and President of STIMS Institute Inc., said closing the skills gap to foster a more vibrant economy in the future is going to require building a triangle: Education and training are its two legs, with motivation to create and implement new solutions – the Transformational Skills serving as the base. 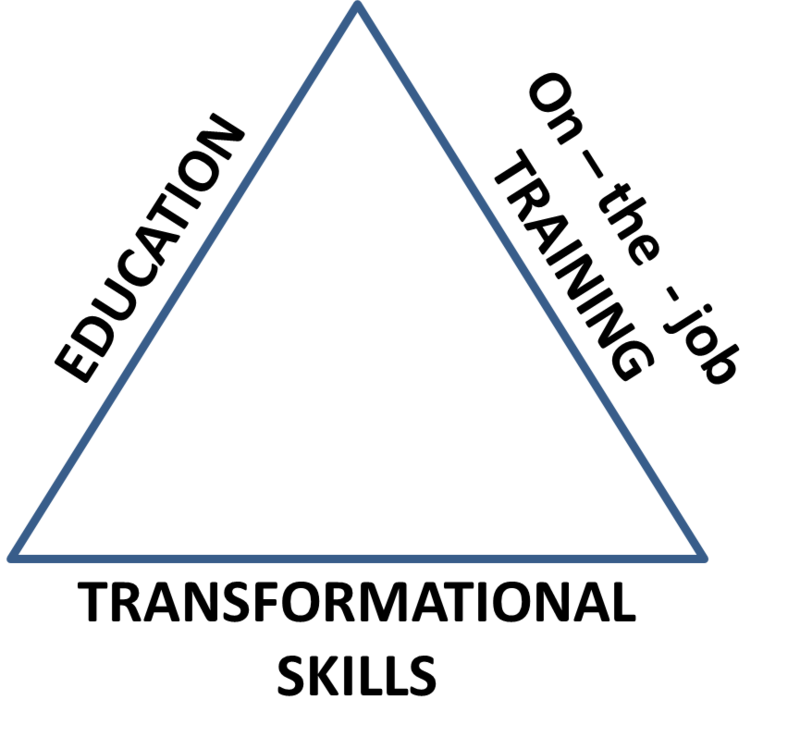 triangle has to be created no matter what level we are going to. We are not thinking of the triangle. Nobody wants to come together to create a triangle.” The triangle needs to include educational institutions and businesses, he said, adding academic schools should take a lesson from vocational schools and encourage internships. This year, Subramanian wrote the book “Thriving in the 21st Century Economy: Transformational Skills for Technical Professionals,” which focuses on the changing economy and the need for a new model for workers because of an increasing demand for high-tech skills. “The parents have to push because their kids need the Transformational skills,’ Subramanian said. “The schools have a need because they have a social obligation. They can’t say we have high scores and we are good with that. They need to give kids the Transformational skills to get a job.” Businesses are not hiring, he said, because they want people with practical experience and Transformational skills. Indeed, a National Manufacturing Institute study estimates that failure to fill 600,00O jobs due to a lack of qualified workers would cost the economy $67.8 billion in exports, $47.4 billion in foreign investment and $8.5 billion in lost research and development investment. Add that to that the $17.6 billion in unemployment insurance claims, $17.6 billion in lost income taxes and $6.6 billion in lost corporate taxes. Next Next post: What is your “Professional Effectiveness – PE” Score?